Samuel F. Backues, age 85 of Linn, passed away Monday, January 21, 2019, at the General Baptist Nursing Home in Linn. Sam was born April 29, 1933, in Paydown, a son to the late Clarence and Madge (Gillespie) Backues. Sam was a 1951 graduate of Vienna High School and was a 1972 graduate of Lincoln University. On September 7, 1954, he was united in marriage to Zelda Mantle in Jefferson City. She survives of the home. 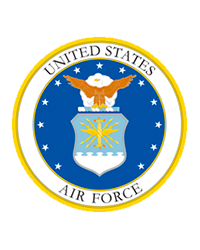 Sam proudly served his county as a member of the Air Force during the Korean War. 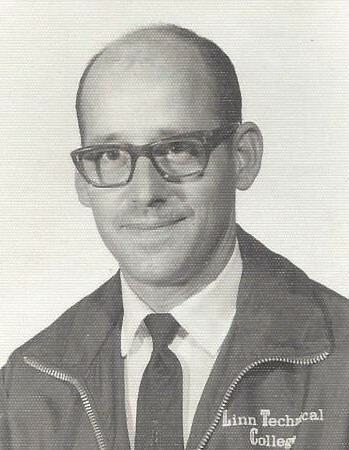 Sam worked as an instructor at Linn State Technical College until his retirement. Sam was a member of the Community of Christ Church in Linn and enjoyed attending bluegrass festivals, building musical instruments and gun collecting and repair. In addition to his wife of 64 years, Sam is survived by: one son, Samuel James Backues of Moberly; one daughter, Sherry Toebben and her husband Edward of Loose Creek; two brothers, Harold Backues and his wife Maxine of Columbia and Neal Backues and his wife Morgan of the state of Texas; two sisters, Amy Gunnufson of St Louis and Marilyn Holland of the state of California; three grandchildren, Krystal Jacobs and her husband Ryan of St. Martins, Ammanda Ott and her husband Eric Ott of Centertown and Edward Toebben, Jr. and wife Tonya of California, MO; 7 great grandchildren, Gabriella, Khloe, Lukas, Joshua, Katie, Amie and Cole as well as many nieces, nephews and friends. In addition to his parents, Sam was preceded in death by: three brothers, Sam’s twin brother, Don Backues, Martin Backues and Roy Backues as well as one sister, Emma Tomson. Visitation will be from 4:00 p.m. until 7:00 p.m. on Wednesday, January 23, 2019 at Morton Chapel in Linn. Graveside service with Full Military Honors will be at 2:00 p.m. Thursday, January 24, 2019, at the Linn Public Cemetery with R.L. and Sandra Mantle officiating. Expressions of sympathy may be made to the Good Shepherd Food Pantry in Linn.